While Nevada may be more widely recognized for its gambling epicenters – Reno and Las Vegas –the city of Henderson houses 277,440 and the local population continues to rise.1 With any large population in the United States comes a melting pot of people. Individuals from all walks of life, socioeconomic backgrounds, and races combine in Henderson and make for an interesting substance abuse profile. Past-month illicit drug abuse rates are higher in Nevada at 9.35 percent than the national average of 8.02 percent.2 Nationally, 24.6 million people identified themselves as current users of illicit drugs in 2013.3 Certain factors contribute to the likelihood that an individual will engage in substance abuse or end up dependent on drugs or alcohol. Sometimes it’s as obvious as being brought up by parents who engage in the same practices. 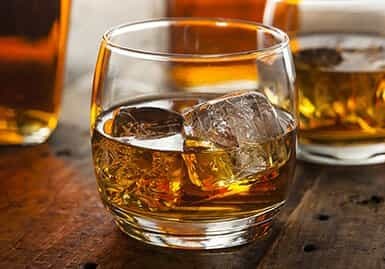 For example, children of alcoholics are eight times more likely to become dependent on alcohol themselves one day.4 Peer influence is also a factor. Abusing illicit drugs isn’t possible if they aren’t accessible. While there are certain medical avenues available to secure supplies of marijuana and prescription drugs like opioid painkillers and benzodiazepines, harder substances must be transported into Henderson. The majority of Nevada’s drug supply comes from across the border in Mexico. Efforts to deter criminal activity and substance abuse in the state are in place. Prescription drug take-back programs, prescription monitoring, and stiff penalties for breaking drug-related laws all work toward a combined goal of reducing negative outcomes associates with drug and alcohol abuse. Prescription drop-off boxes are found in at least five locations in Henderson that allow individuals to dispose of excess medications they no longer need.34 All disposed drugs are collected on a regular basis and incinerated. Combined totals from two National Prescription Drug Take-Back Day events mounted to a collection of 309 tons of prescription pills across the nation in 2010.35 There is hope that local efforts to deter substance abuse will produce similar results on a smaller scale in Henderson. Aside from self-medicating with drugs and alcohol, many people who live with mental health disorders take their own lives in effort to escape the uncomfortable symptoms that plague them. Nevada outranks most of the nation, holding the number two spot for suicide rates in the country at 19.2 per 100,000 people in 2006 – a great deal higher than the nation’s rate that year of 10.9 per 100,000.39 Criminal activity also occurs more often in the mentally ill population. Paying for treatment can be tricky for many people with substance abuse and mental health disorders. As a result, they’re often less likely to have steady income and health insurance. A reported 37.3 percent of Americans who needed substance abuse treatment from 2010 to 2013 and didn’t get it cited a lack of means to pay for it as the reason for their choice.44 Fortunately, the city of Henderson is home to facilities that understand this plight and want to help people seek treatment anyway. Payment plans that are broken up into increments over the treatment period and sliding scale options that take your income into account when totaling treatment charges are both available in the city. Not every individual who seeks substance abuse treatment will benefit from the same type of care. Sometimes facilities boast accreditations on their websites. In addition, licensure is one of the most important components of any treatment facility or professional. 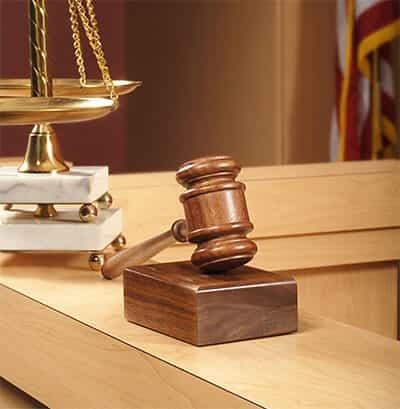 You cannot be licensed in the state of Nevada to treat substance abuse clients without first verifying you are 21 years of age or older and a citizen of the United States.45 In addition, a master’s degree is required for this level of work, along with 2,000 hours of supervised work in the counseling field. Counselors also need to complete oral and written exams and pay several fees to obtain licensure in Nevada. 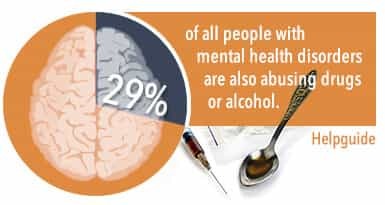 For more information on treatment for mental health disorders and substance abuse in the state of Nevada, reach out to the National Alliance on Mental Illness, Southern Nevada Chapter or Substance Free Nevada. “State and Country QuickFacts.” (2014). United States Census Bureau. Accessed September 18, 2015. “Nevada Drug Control Update.” (n.d.). White House. Accessed September 18, 2015. “Substance Use and Mental Health Estimates from the 2013 National Survey on Drug Use and Health: Overview of Findings.” (2014 Sep 4). Substance Abuse and Mental Health Services Administration. Accessed September 18, 2015. “Children of Alcoholics.” (n.d.). Substance Abuse and Mental Health Services Administration. Accessed September 18, 2015. Nauert, R. (n.d.). “High Risk of Substance Abuse among Hispanic Youth.” Psych Central. Accessed September 18, 2015. “State and County QuickFacts.” (2014). United States Census Bureau. Accessed September 18, 2015. Carney, J. (2012 Mar 7). “Poverty & Mental Illness: You Can’t Have One Without the Other.” Mad in America.Accessed September 18, 2015. “Mental Illness: NAMI Report Deplores 80 Percent Unemployment Rate; State Rates and Ranks Listed — Model Legislation Proposed.” (2014 Jan 1). National Alliance on Mental Illness. Accessed September 18, 2015. “Substance Abuse Treatment Admissions by Primary Substance of Abuse.” (2013). Substance Abuse and Mental Health Services Administration. Accessed September 18, 2015. “Reports.”(n.d.). Healthy Americans. Accessed September 18, 2015. Castro, K. (2015 Aug 3). 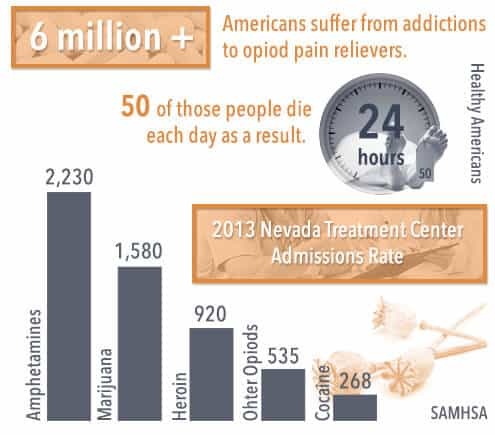 “Report: Nevada fourth highest for drug overdose deaths.” Las Vegas Now.Accessed September 18, 2015. “Nevada Laws & Penalties.” (n.d.). NORML. Accessed September 18, 2015. “Nevada Heroin Laws.” (n.d.). FindLaw. Accessed September 18, 2015. “Nevada Cocaine Laws.” (n.d.). FindLaw. Accessed September 18, 2015. Gettman, J. (2009 Nov 5). “Marijuana in Nevada.” Drug Science. Accessed September 18, 2015. “Alcohol Use Disorder.” (n.d.). National Institute on Alcohol Abuse and Alcoholism. Accessed September 18, 2015. Kanny, D., Brewer, R.D., Mesnick, J.B., Paulozzi, L.Z., Naimi, T.S. & Hau, L. (2015 Jan 6). “Vital Signs: Alcohol Poisoning Deaths — United States, 2010-2012.” Centers for Disease Control and Prevention. Accessed September 18, 2015. “Alcohol-related deaths: How does your state rank?.” (2014 Jun 27). CBS News. Accessed September 18, 2015. “State Map.” (n.d.). Foundation for Advancing Alcohol Responsibility. Accessed September 18, 2015. “Nevada Drunk Driving Fines & Penalties.” (n.d.). NOLO. Accessed September 18, 2015. Valley, J. (2011 Oct 19). “Police install prescription drug drop-off boxes in Henderson.” Las Vegas Sun.Accessed September 18, 2015. “State Estimates of Adult Mental Illness from the 2011 and 2012 National Surveys on Drug Use and Health.” (2014 Sep 4). Substance Abuse and Mental Health Services Administration. Accessed September 18, 2015. “State Statistics: Nevada.” (2010). National Alliance on Mental Illness. Accessed September 18, 2015. “Substance Abuse and Mental Health.” (n.d.). Helpguide. Accessed September 18, 2015. Ryan, C. (2010 Aug 21). “Study says Nevada ranks No. 2 in nation for suicides.” Las Vegas Sun. Accessed September 18, 2015. “2011 State Profile — National Survey of Substance Abuse Treatment Services.” (2011). Substance Abuse and Mental Health Services Administration. Accessed September 18, 2015. “Substance Abuse Treatment Facility Locator.” (n.d.). Substance Abuse and Mental Health Services Administration. Accessed September 18, 2015. “Sober Living Directory.” (n.d.). Intervention America. Accessed September 18, 2015. “Licensed Clinical Alcohol & Drug Abuse Counselor.” (n.d.). Nevada State Board of Examiners. Accessed September 18, 2015.